Introduction to E-Cigarettes - What is an Electronic Cigarette? . Home Page | blog | Introduction to E-Cigarettes – What is an Electronic Cigarette? Introduction to E-Cigarettes – What is an Electronic Cigarette? An introduction to electronic cigarettes for new or potential users. If you want to know the basics of electronic cigarettes, what is an electronic cigarette and how they work this guide will answer all your questions. An electronic cigarette, also known as a e-cig, shisha pen or personal vapourizer is a device that produces a vapour that resembles the look and feel of smoking. The vapour usually contains a flavouring, some nicotine and a base liquid. An e-cigarette consists of 3 main parts. A battery, normally rechargeable, which powers the device. An atomizer that makes the vapour, and a cartridge or tank which holds the liquid. Normally the atomizer and cartridge or tank is combined into one and referred to as a “cartomizer” or “clearomizer”. They way an e-cigarette works is actually very simple. A wicking material feeds liquid to an atomizer. This atomizer is simply a coil of wire (very similar to a traditional light bulb) that passes a current and heats up. The liquid is vapourised by the heat and produces a vapour. What is in a E-Cigarette? An electronic cigarette contains “e-liquid”. The majority of e-liquid is a mix of propylene glycol (PG) and vegetable glycerine (VG). This is the liquid that makes the vapour look and feel like smoke. These are common liquids approved by the FDA and currently used in many different products including food colouring, flavouring, cosmetics, toothpaste, toiletries, cake mixes, salad dressings, soft drinks and more. A small amount of flavouring is added to give taste. These range from typical tobacco flavours to fruit, menthol and sweet flavours. Nicotine is added in a variety of strengths to suit a users preference. 20-30mg is considered high strength while 6-8mg is considered low. Are E-Cigarettes Bad For Me? Electronic cigarettes contain nicotine. Nicotine is a drug that has similar health effects as caffeine. Like caffeine it can increase blood pressure and heart rate. Nicotine does not cause cancer. Of course anything you take into your body can have negative effects. The question is ” are e-cigs better than smoking tobacco?”. Health experts agree electronic cigarettes are likely to be 100 to 500 times better for your health than smoking tobacco. Tobacco smoke contains roughly 5000 different compounds, including free radicals and 50 identified chemicals that cause cancer. Smoking cigarettes causes heart disease. A smoker using a pack of twenty a day will consume over a pint of tar ever year. There are many other toxic chemicals in cigarette smoke which you can read here at Cancer Research UK. E-cigs do not contain any tar, carbon monoxide or cancer causing chemicals. A recent study has just been released concluding “chemicals in electronic cigarettes pose minimal health risks”. There are more studies on electronic cigarettes that can be read here. How Much Does an E-Cig Cost? Using an electronic cigarette is much cheaper than smoking tobacco. There is an initial investment needed for a starter kit to give you everything you need to get going (around £40). You will then need to buy e-liquid and occasionally replace atomizers that eventually wear out. Based on an average user using 2ml of e-liquid a day you will spend around £15 on e-liquid a month and £5 on replacing your atomizers a month. 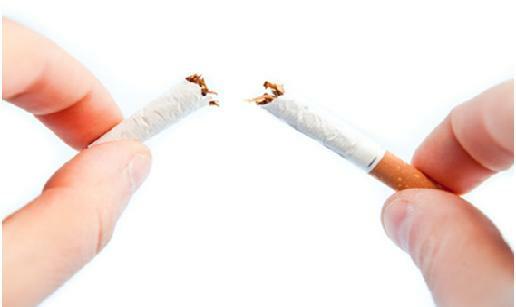 Smoking 20 cigarettes a day at £8 a pack would cost £240 a month. What is the Best Electronic Cigarette to Buy? There are many different electronic cigarette UK products available to buy. Unfortunately many are “knock offs” and cheaply made products that look the same as the quality devices. As a new user you should buy a quality electronic cigarette starter kit that will give you everything you need in one package. Currently the best e-cigarette for a new user is the “clearomizer” system as they are very easy to fill and use. They use an “eGo” style battery that has a very long usage time before needing recharging. Unlike disposable cigarettes (that look like real cigarettes) these devices allow you to refill easily with inexpensive e-liquid. They provide long battery life and perform great. 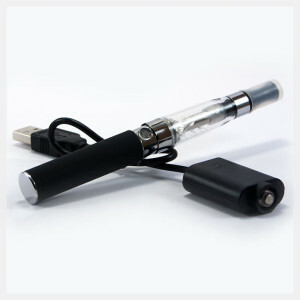 A refillable starter kit will give you two electronic cigarettes. When you are charging one you will always have another available. These electronic cigarettes provides a lot more vapour, better flavour and needs replacement far less often. At CigElectric we believe the highest quality starter kit is the CigElectric GO electronic cigarette starter kit. It uses the clearomizer system with an eGo battery. All the parts of this kit are high quality and perform great. We get feedback every day telling us how great this kit is. Order yours today and get started with electronic cigarettes!